CLEVELAND, Ga. – Voters all across Georgia rushed to polling places in what appears to be record numbers during the first week of in-person, early voting last week and White County was no exception. White County Chief Registrar Lisa Manning reported that 1,661 votes were cast last week compared to only 433 during the first week of advanced voting during the last midterm election in 2014. 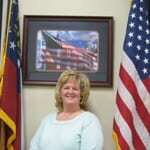 She added that 500 absentee ballots were mailed. It is difficult to say whether White County voters were more motivated by what appears to be a very close and increasingly bitter race between Republican Brian Kemp and Democrat Stacey Abrams for governor or national issues like control of the U.S. House and Senate, illegal immigration and the farcical hearing for U.S. Supreme Court Justice Brett Kavanaugh. In-person early voting in Georgia will continue for two more weeks until Nov. 2, including at least one Saturday, Oct. 27. 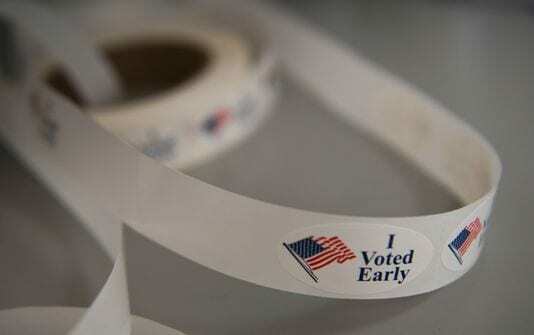 Election Day is Nov. 6 when polls will be open from 7 a.m. until 7 p.m. Despite the large number of voters, Manning said voting went smoothly all five days with very few glitches.